“But”, I hear you saying, “Isn’t that the same thing as the offer?” Not exactly. UpSellIt.com recently showcased an important case study that shows this process in action. 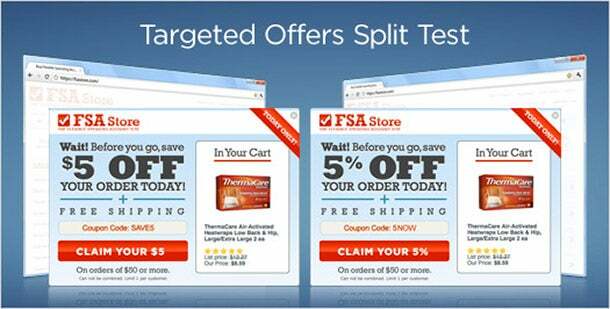 Their client, FSAStore.com, was testing out various offers to customers at each step of the buying process. They leveraged email marketing, re-marketing and cart abandonment callouts to steer the customer back to their site to take action. FSAStore had a simple offer setup. Visitors who didn’t share their email were presented with an on-screen incentive at the moment they moved to abandon the site. If the shopper provided an email address, they were sent a cart abandonment reminder with no incentive. If that didn’t spur them to act, a follow-up email was sent with their cart details, and a split tested offer: a $5 or 5% discount. Following up on that offer, a second remarketing campaign tested a $5 discount against a 10% discount if the customer still hadn’t acted 72 hours later. As you might have expected, the $5 offer converted over 30% more customers than the percentage offer. Dollar signs are just easier to understand than trying to calculate percentages and figure out which really was the best deal. People don’t like to think, and forcing them to do math in their head is like setting down a giant brick wall in front of their shopping cart. No surprise there! But, according to average order value, the 5% discount offer was worth about 150% more to FSAStore.com – so it was in their best interest, profitability-wise, to really push this incentive. Still, this boomerangs back to “I’m not calculating that in my head”, so what do you do? 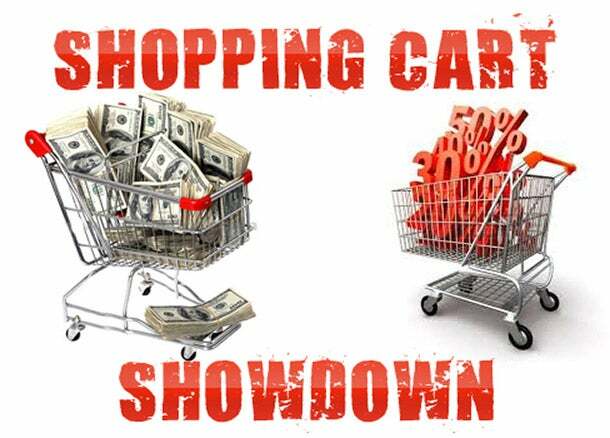 FSAStore then split tested active versus inactive carts. Inactive carts were those that a customer had not yet added a product to. Surprisingly, active cart users, those who had already added an item to their cart, took the time to calculate the percentage out. In other words, these customers were actively interested and willing to do the extra legwork (simple as it was), to figure out the best option for their needs, which ended up being the percentage-based offer. But what about inactive carts? If the customer hadn’t yet added an item to their cart, they ended up being over 40% more likely to convert when offered the $5 discount. Active cart users converted at less than 25% when offered the $5 discount. The key takeaway here is that a dollar amount discount isn’t always the best way to save a sale, but neither is a percentage-based discount. It all depends on where the customer is in the buying process. What About All Those Leftover Emails? Getting the prospect’s email was perhaps the most important step in the entire process. Since they may or may not have had an active cart at one time, and the shopping cart abandonment reminder emails might not have led to an action, a wholly different campaign was created to target these people. In these cases, the offer was tested and the percentage ended up converting at nearly 17% better than the dollar offer. Here again, sitting in front of your screen (or browsing your mobile phone during the commute to work), gives you more time to calculate that number and find the better deal. Of course, no marketing initiatives are complete without the tools that can simplify and streamline the process. Things like OrderMotion (to track sales-in-progress and reduce refunds) and Retargeter (to create and send remarketing campaigns) can be used alongside, or integrated with your preferred platforms so there’s no downtime or learning curves to tackle. The last thing you need on your plate is some cumbersome system that further complicates the ordering process. When considering which tools to use, look for ease of use, integration via APIs and brand-ability. You want to create a seamless, simple process that never distracts the customer from acting, and yet gives them plenty of value and a straightforward way to make a more informed buying decision. Remember that all tools are just that – tools. They won’t make or break the sale alone, but when used in conjunction with your existing marketing campaigns, can either help or hinder the customer. 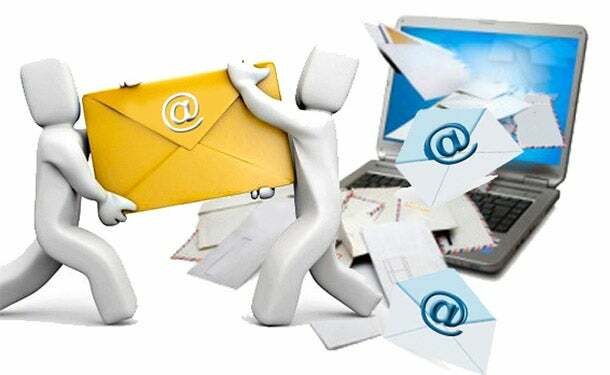 The most important thing to remember when analyzing your offer is that “best practices” for email marketing fly right out the window when you’re targeting shoppers with active versus inactive carts, or shoppers who have provided their emails versus not. Every potential customer is on a journey, and understanding where they are in the buying process along that path will give you multiple opportunities to target them with the right offer at the right time. What’s more, if your conversion rate is flat-lining, it can seem incredibly tempting to throw all kinds of discounts at first-time customers before they ever get a sense of what you offer and why they should care. This is actually counter-intuitive and can backfire on you more than it helps. If customers are bombarded with discounts right when they hit your page, or subscribe, or go to close the browser, it can cheapen your brand overall. At the same time, your conversion rate means very little if there aren’t any specific profitability goals to go with it. You can have an excellent conversion rate, but less than stellar revenues. Creating an offer that is both profitable and understandable to your customer base (no matter where they are in the decision-making process) is something that takes time, dedication, and a deeper understanding of the company-customer relationship, and how to grow it.